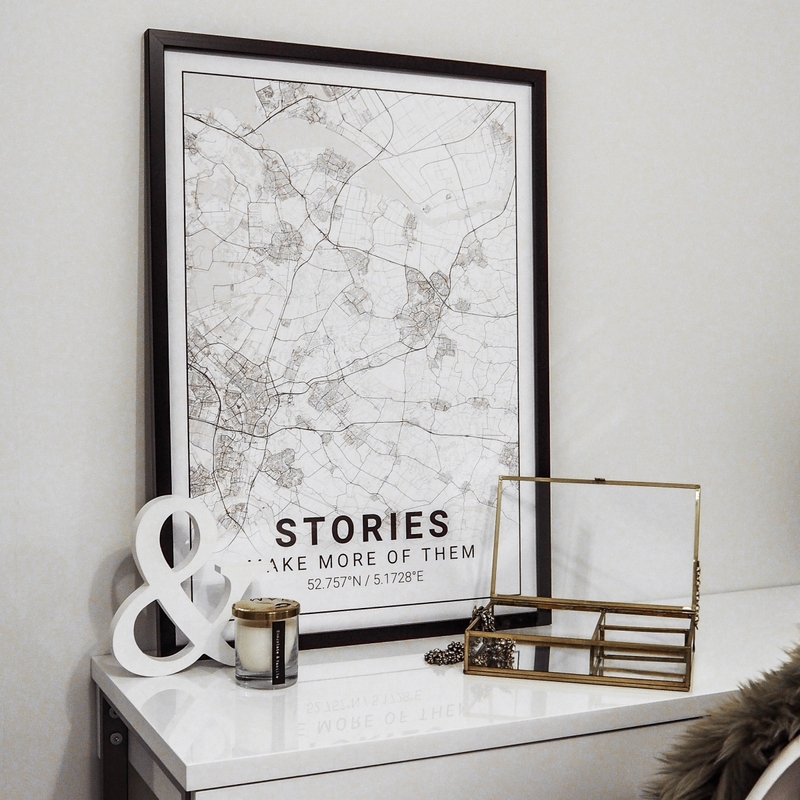 Design your Custom City Map Poster from anywhere in the world. An original and unique gift. Choose from the designs and sizes available. Customize the map with your own text and receive it at home within 3-5 days. 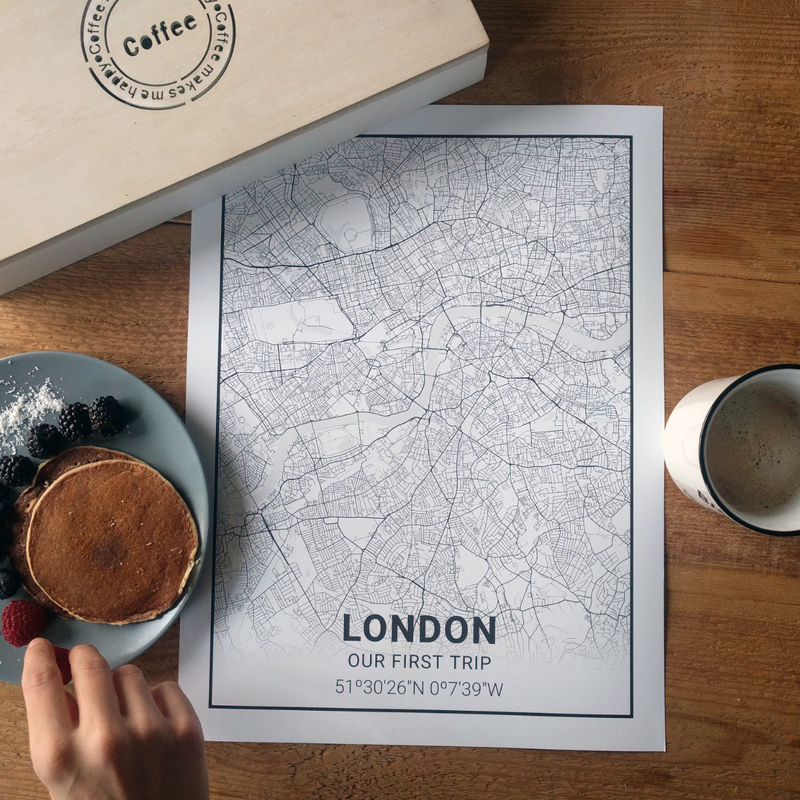 We know how important it is for you to find a perfect gift for that special person, that's why we prepare all the orders one by one, taking care of every detail to make your map an unforgettable memory of a special place. 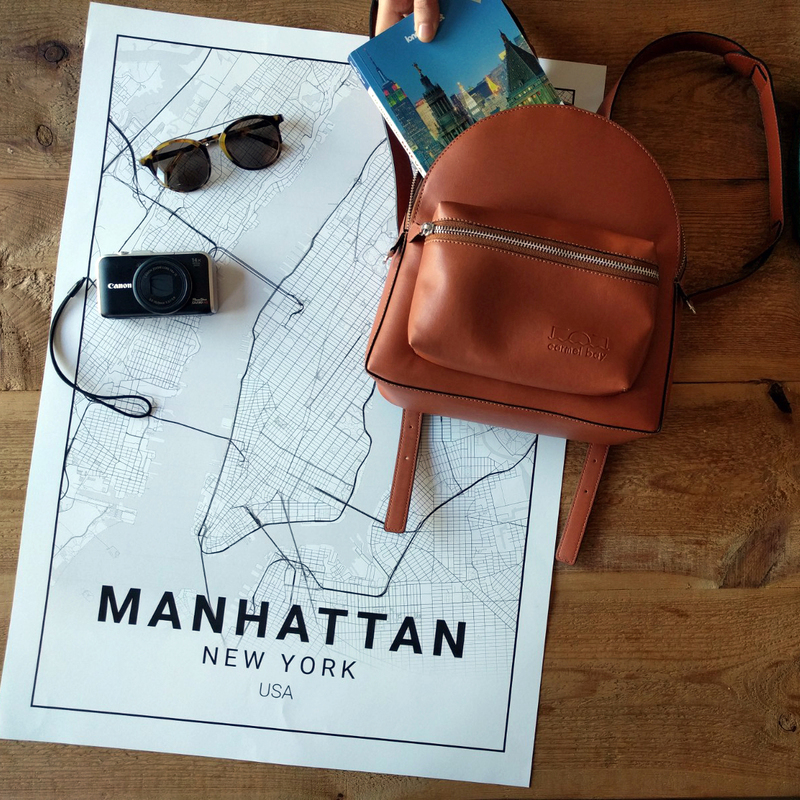 Thanks to our editor, you can search cities map prints from any place in the world and see in real time what your map will look like. It does not matter if it's a big city or a small town, you just have to use the search engine and our editor will find it. 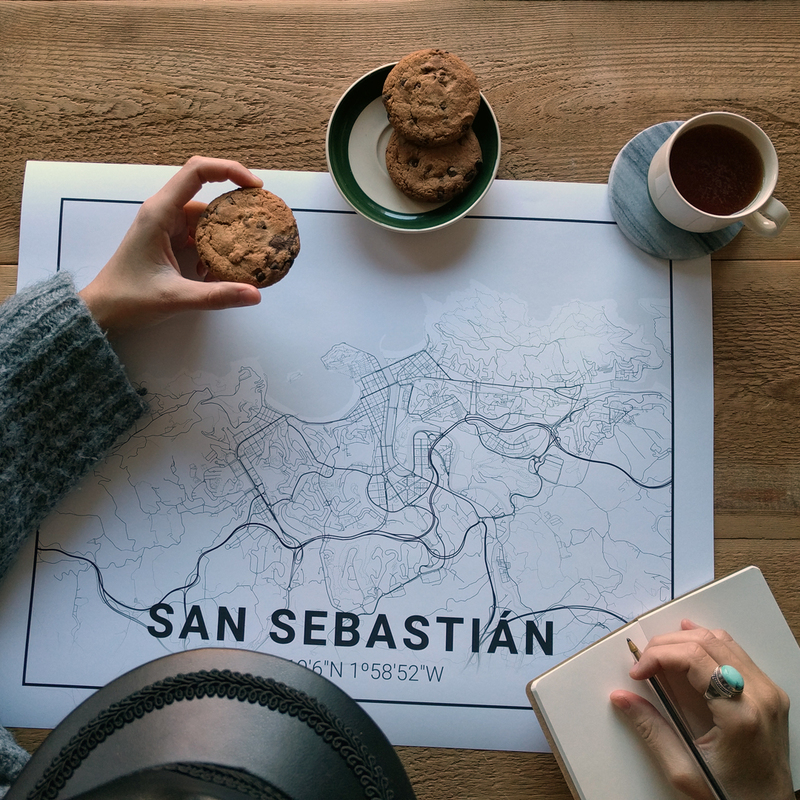 You do not want a personalised city map, we know it. What you want is to have a nice memory of a place and a special moment that you have lived. Maybe the place where you met, the last trip you have made together, your next destination ... Relive those moments every time you see your map hanging decorating your house. Do you want to see the opinions of our customers? Maps to give to your partner, your family or your friends. 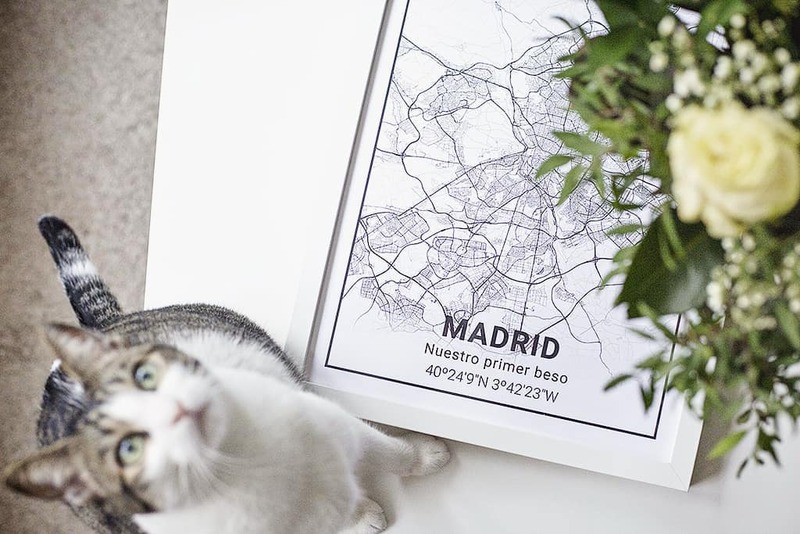 Surprise them by giving away a personalised city map of their favorite place: Madrid, Barcelona, Paris, London, Rome, New York... elije tu ciudad o crea tu mapa desde cero. We ship within 7 to 10 days.